Our last issue featured a panel discussion hosted by the American Family Foundation, one of the major anti-cult groups in the US, entitled ‘Can Cultic Groups Change? 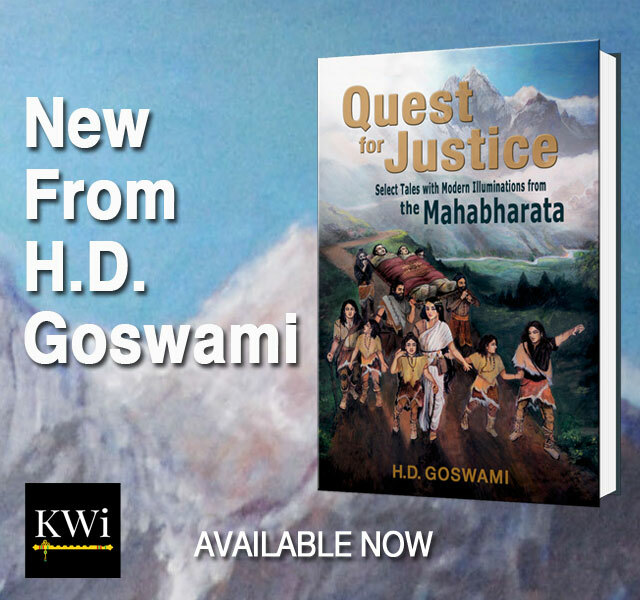 The Case of ISKCON’. Dr Rahul Peter Das questioned Anuttama Dasa’s statements about authority and leadership in ISKCON. Dr Das particularly refers to possible contradictions with concepts of the divine guru that underly much of Indian philosophical systems. Here Hrdayananda Dasa Goswami, himself a guru in the Vaisnava line, attempts to resolve the apparent contradiction between tradition and democracy, explaining the role of the guru in a society with a collegial governing body. On 15 May 1999, the American Family Foundation, which monitors and informs the public about ‘cults’, held its annual conference in St Paul, Minnesota, USA. Interestingly, ISKCON’s North American Minister of Communications, Anuttama Dasa, along with Radha Dasi, a legal consultant to ISKCON in North America, appeared on a conference panel entitled ‘Can Cultic Groups Change: The Case of ISKCON’. 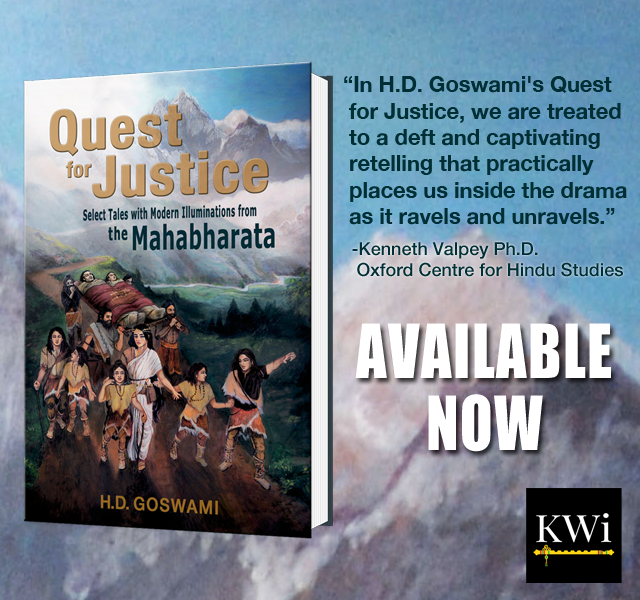 The ISKCON Communications Journal (ICJ) then published the proceedings of the panel, and one of its academic readers, the distinguished Indologist Dr Rahul Peter Das, wrote to the editors, expressing his concern about some of Anuttama’s statements. The editors subsequently asked me to respond to this issue. I will thus present here Anuttama’s original statement, the response by Dr Das and my own observations. ISKCON is new. Many of our organisational problems came from the fact that in the early years especially, most ISKCON members were young Western converts. Due to a lack of maturity and organisational structure there was a vulnerability to excess and abuse of power. Another issue, or tension, for us is the question of authority and leadership. The traditional model in most Indian religious traditions is a hierarchical organisation, with the concentration of power in the hands of one individual, the guru, or acarya. Shortly before passing away, my teacher, Prabhupada, established a Governing Body Commission, a group of people to oversee the ISKCON organisation. After his death in 1977, there was a series of crises with some of the topmost, hand-selected leaders who had been appointed as gurus. There was quite a struggle between the organisation and some of those individuals who argued that as gurus their position was above the authority of the GBC. As an outsider to any religion, but one interested in ISKCON as a manifestation of a stream of Indian religious thought (which is a major part of what I study), I see a theological problem in a statement by Anuttama Dasa on the question of authority and leadership. It is, of course, commonplace that in many Indian religious traditions, including modern ones like the Ananda Marga, there is no difference between the supreme/divine principle and the sad-guru, the latter being but a corporeal manifestation of the former. This is obvious in your own tradition, too (Caitanya). To the outsider, it seems that the attraction of ISKCON to many followers is the application of this principle to Prabhupada and that one could justly speak of him being, within ISKCON, a manifestation similar to Caitanya (this is, I emphasise once again, the outsider’s view, but one confirmed by much of what is said and published within ISKCON itself and in its iconography). Now, it is known that in religious movements with such a background (Indian Sufism is a good example of this), authority often takes the form of transference of this divine aspect to another corporeal being, very often an offspring of the original guru (material transference is clearly important here). This is a form of leadership that has nothing to do with the secular Western democratic principles mentioned in the pages quoted. I therefore see here not a question of democracy or the like, but of fundamental theological doctrine, and I would be very interested in finding out how the ‘reformers’ within ISKCON have actually come to terms with this problem. Hindu tradition seems to give absolute authority to the guru. et ISKCON claims to be an authentic part of Hinduism. Das immediately perceived this problem, and I shall now list and reply to the three basic arguments of his letter. To claim that one’s sad-guru (spiritual master) is identical with ‘the supreme/divine principle’ is to make an ontological claim, a claim involving the nature of being. Indeed, the great theological debates in India among such leading Vedantists as Sankara, Ramanuja and Madhva centred precisely on rival ontological claims about the nature of being. Specifically, the great Vedantists disputed the nature of the relationship between the Upanisadic absolute, brahman, ‘the supreme/divine principle’, and the material world with its individual souls housed in physical and psychic bodies. The claim that in the Caitanya tradition, ‘there is no difference between the supreme/divine principle and the sad-guru, or authentic spiritual master’, is only partially true. Sri Caitanya taught the ontological doctrine of bhedabheda-tattva, the simultaneous ‘difference and nondifference’ between God and the innumerable individual souls who rest upon Him. Srila Prabhupada explained that individual souls are qualitatively one with Krsna, or God, but quantitatively different. In other words, our consciousness, in its original, pure state, is equal in quality to that of the consciousness of God, but God’s consciousness is infinite, whereas ours, in comparison, is infinitesimal. Just as any authentic representative stands for, and is, in that sense, identical with that which he or she represents, so the genuine representative of God is identical with God. 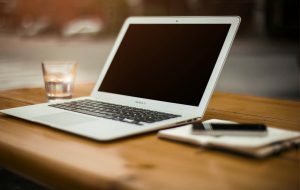 For example, if I purchase an airline ticket from an authorised agent of the airline, the airline must honour that ticket, even if the agent has made a mistake in my favour. Similarly, Srila Prabhupada’s assurance of spiritual liberation for his serious followers will be honoured by Lord Krsna. As mentioned above, all living beings, pure or impure, are held to be, in an ontological sense, qualitatively one with God. However, a pure soul like Srila Prabhupada has realised his divine nature and acts accordingly. We note here that certain monistic doctrines do, in fact, claim that the guru, and ultimately all souls, are one in all respects with the ‘supreme/divine principle’. But Vaisnava communities, such as the Gaudiya Vaisnavas,2 although acknowledging that God sometimes incarnates in this world, in general fervently oppose such monistic ideas. There are, of course, other groups that admit to a type of monotheism, but then claim that their guru is an incarnation of the one God. ISKCON makes no such claim for Srila Prabhupada. Indeed, in 1970, Srila Prabhupada expelled four of his senior disciples who dared to claim that he was God. One may read of this in the standard biography Srila Prabhupada-lilamrta by Satsvarupa Dasa Goswami. In general, the members of ISKCON faithfully follow Srila Prabhupada because they recognise him to be a pure representative of God, and thus they are confident that by pleasing him, they are pleasing the Supreme Lord. For those diligently engaged in the spiritual practice of Krsna consciousness, this is not merely a theory or belief, but a practical, daily experience. Undoubtedly people join ISKCON for a variety of reasons. Indeed, in the Bhagavad-gita (7.16),3 Lord Krsna states that people approach Him with four types of motives: to alleviate suffering, to achieve prosperity, to satisfy curiosity and to attain final wisdom. But one would expect all those who seek God, regardless of their motive, to be concerned with the quality of their contact or link with God. In that sense, the conviction of ISKCON devotees of Srila Prabhupada’s unique ability to purely represent God is indeed a compelling one. Again, however, this in no way implies a monistic perception of Srila Prabhupada as God Himself. In fact, the Vaisnavas claim just the opposite: that the more one humbly surrenders to the Supreme Lord, the more one can serve and represent Him purely. Thus ISKCON devotees glorify Srila Prabhupada as divine precisely because of his full submission to God, a qualification which Srila Prabhupada painstakingly taught them to insist upon in a guru. 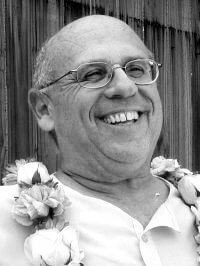 ‘I emphasise’, says Professor Das, ‘this is the outsider’s view.’ Thus we may say that from the ‘insider’s view’, it is not merely the ‘application’ of a theological principle to Srila Prabhupada that attracts many to him but rather the direct experience of ISKCON devotees of Srila Prabhupada’s dramatic ability to bring his followers into close proximity of Lord Krsna. Now, it is known that in religious movements with such a background (Indian Sufism is a good example of this), authority often takes the form of transference of this divine aspect to another corporeal being, very often an offspring of the original guru (material transference is clearly important here). This is a form of leadership that has nothing to do with the secular Western democratic principles mentioned in the pages quoted. I therefore see here not a question of democracy or the like, but of fundamental theological doctrine, and I would be very interested in finding out how the ‘reformers‘ within ISKCON have actually come to terms with this problem. Professor Das raises several points here, which I will address in order. He refers to the general issue of the transference of authority from the guru to his or her successors. Whenever the issue of the transmission of divine authority arises, Vaisnavas generally quote Lord Krsna’s description in the Bhagavad-gita (4.1-3) of the parampara, the chain of disciplic succession that begins with the Lord Himself. Lord Krsna states here that He has chosen to speak this spiritual knowledge to Arjuna, since this middle son of Pandu is the Lord’s devotee (bhakta) and friend (sakha). Similarly, Lord Krsna states elsewhere in the Gita (13.19), ‘My devotee [mad-bhakta] realises this [divine knowledge] and thus attains to My nature.’4 It would not be difficult to argue from the vast array of Vaisnava literature that possessing spiritual, and specifically devotional, qualities, rather than a mystic family connection, qualifies the disciple to become a guru. Indeed, in normal education, a good student gets the chance to become a teacher, not merely a child of the former teacher. He also mentions that ‘very often’ the guru’s authority is transferred to the guru’s child (or, presumably, another relative). Bhaktisiddhanta Sarasvati Thakura has shown a parallel in the pastimes of Sri Caitanya Mahaprabhu, who is Krsna Himself appearing as His own devotee. Lord Caitanya appeared along with His first plenary expansion, known as Lord Nityananda Prabhu, and with Lord Advaita Prabhu. All three personalities – Caitanya Mahaprabhu, Nityananda Prabhu and Advaita Prabhu – are accepted by Vaisnava acaryas to be in the category of visnu-tattva, the full status of the Supreme Personality of Godhead. These three Personalities of Godhead perceived that in the future Their so-called seminal descendants would get undue recognition and thus, being puffed up, would commit grave offences against those who were actually Vaisnava gurus or representatives of the Lord. Every living being is part and parcel of the Supreme Lord, asstated in the Bhagavad-gita (mamaivamsah). Every living entity is originally a son of God, yet to execute His pastimes the Lord selects certain highly qualified living entities whom He allows to take birth as His personal relatives. But those living entities who appear as descendants of the Lord’s personal family may undoubtedly become proud of such a position and thus abuse the great adulation they receive from ordinary people. In this way such persons may artificially get undue attention and divert people from the actual principle of spiritual advancement, which is to surrender to the pure devotee who represents the Lord. The last eight verses of the Twelfth Chapter of Bhagavad-gita give a description of the pure devotees the Lord permits to act as acaryas, or spiritual leaders of mankind. In other words, simply to take birth in the personal family of Krsna is not the qualification for being a spiritual master, since according to Bhagavad-gita, pitaham asya jagatah: every living entity is eternally a member of the Lord’s family. Krsna says in Bhagavad-gita, samo ‘ham sarva-bhutesu na me dvesyo ‘sti na priyah: ‘I am equal to everyone. No one is My enemy, and no one is My special friend.’ If the Supreme Personality of Godhead appears to have a special family, such as the Yadu dynasty, such a so-called family is a special arrangement of the Lord’s pastimes in order to attract the conditioned souls. When Krsna descends, He acts as if He were an ordinary person in order to attract the living entities to His pastimes. Therefore Krsna acted as though the Yadu dynasty was His personal family, although in fact every living entity is a member of His family. Ordinary people, however, not understanding the higher principles of spiritual knowledge, easily forget the actual qualifications of a bona fide spiritual master and instead give undue importance to people born in the Lord’s so-called family. Sri Caitanya Mahaprabhu, therefore, avoided this impediment on the path of spiritual enlightenment by leaving behind no children. Although Caitanya Mahaprabhu married twice, He was childless. Nityananda Prabhu, who is also the Supreme Personality of Godhead, did not accept any of the natural sons born of His own son, Sri Virabhadra. Similarly, Lord Advaita Acarya divested of His association all of His sons except Acyutananda and two others. Acyutananda, the chief faithful son of Advaita Acarya, had no seminal progeny, and the remaining three of the six sons of Lord Advaita fell from the path of devotion to the Lord and are known as rejected sons. In other words, the appearance of Caitanya Mahaprabhu allowed little facility for continuing a so-called seminal family to create confusion. The respect shown to the conception of seminal lineage in deference to the ideas of the smartas is unfit to be accepted by one who actually understands the supreme truth from Vedic authority. Other acaryas, or spiritual masters, have also demonstrated this point in their own families. His Divine Grace A.C. Bhaktivedanta Svami Prabhupada, our own beloved spiritual master, who is the mighty author of this Srimad-Bhagavatam series, was born into a family of pure devotees, and he himself exhibited all the symptoms of pure devotional service from childhood. Srila Prabhupada eventually came to the Western countries and exhibited unprecedented spiritual potency in establishing the Krsna consciousness movement all over the world. In a few short years, he translated more than fifty large volumes of Vedic philosophy. By his practical activities he is certainly understood to be a most empowered representative of the Lord. Nonetheless, his own family members, although devotees of Krsna, did not come up to the proper standard of devotional service and are therefore not given attention by the members of ISKCON. The natural tendency for the members of the International Society for Krsna Consciousness would be to offer all reverence and worship to the members of Srila Prabhupada’s immediate family. But since by Krsna’s arrangement these family members are not on the platform of pure devotional service, the members of ISKCON give them scant attention, and worship instead those who actually exhibit the qualities of highly advanced Vaisnavas, regardless of their birth. In other words, birth cannot constitute the qualification for a respectable person, even when one is born into the Lord’s own family or into the acarya’s family, what to speak of an ordinary wealthy or learned family. In India there is a class of men known as nityananda-vamsa, who claim to be direct descendants of Lord Nityananda and herefore worthy of the highest respect for their position in devotional service. In this regard, Srila Prabhupada has written in The Nectar of Devotion, ‘In the Middle Ages, after the disappearance of Lord Caitanya’s great associate Lord Nityananda, a class of priestly persons claimed to be the descendants of Nityananda, calling themselves the gosvami caste. They further claimed that the practice and spreading of devotional service belonged only to their particular class, which was known as nityananda-vamsa. In this way they exercised their artificial power for some time, until Srila Bhaktisiddhanta Sarasvati Thakura, the powerful acarya of the Gaudiya Vaisnava sampradaya, completely smashed their idea. There was a great struggle for some time, but it was successful, and it is now correctly and practically established that devotional service is not restricted to a particular class of men. Besides that, anyone who is engaged in devotional service is already a high-class brahmana. So Srila Bhaktisiddhanta Sarasvati Thakura’s struggle for this movement has been successful. It is on the basis of his position that anyone, from any part of the universe, can become a Gaudiya Vaisnava. In other words, the essence of spiritual knowledge is that every living being, regardless of his present status in life, is originally a servant of the Supreme Lord, and it is the mission of the Lord to reclaim all of these fallen living entities. Despite his past situation, any living being who is willing to surrender again at the lotus feet of the Supreme Lord or His bona fide representative can purify himself by strictly adhering to the rules and regulations of bhakti–yoga and thus act as a high-class brahmana. Nonetheless, the seminal descendants of the Lord think themselves to have acquired their ancestor’s character and position. Thus the Supreme Lord, who is the well-wisher of the entire universe and especially of His devotees, bewilders the discriminatory power of His own descendants in such a contradictory way that these seminal descendants become recognised as deviant and the actual qualification to be a representative of the Lord, namely unalloyed surrender to the will of Krsna, remains prominent. Finally, I will address Das’s claim that in normal Hindu tradition, the transmission of divine authority ‘has nothing to do with the secular Western democratic principles mentioned in the pages quoted’. We may first note that ISKCON does not follow the principles of a popular ‘Jacksonian’ democracy, but rather invests ultimate managing authority in a body of senior leaders. Traditionally, the members of the governing board appoint new members, and thus one might more reasonably accuse this system of being an ‘oligarchy’, a term that seems to be somewhat infected with negative connotations in contemporary culture. To be fair, there is a growing trend in ISKCON to insist that even GBC members be elected by senior members of the spiritual communities they are to govern. 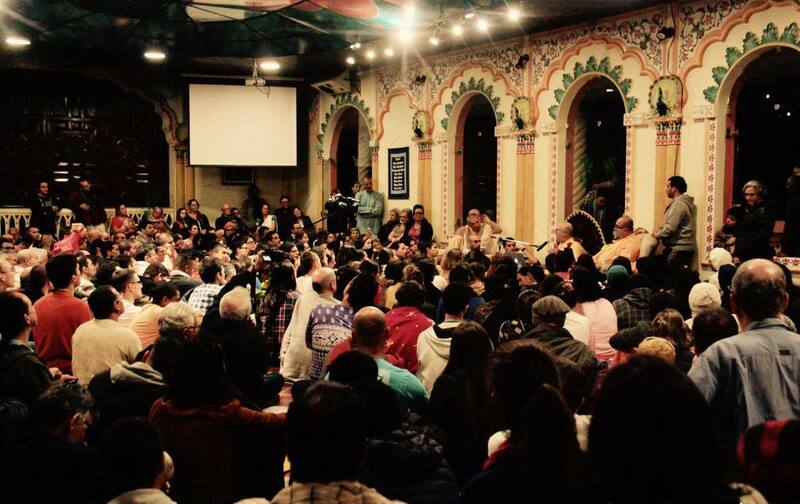 Indeed, the largest ISKCON community in North America, in Alachua, Florida, has recently declared its intention of electing its own GBC representative to whom the international GBC may or may not award voting rights. Yet the basic issue remains: can the ‘Hindu’ or ‘Vedic’ guru authentically function under the authority of a governing body, however constituted? I will argue that he or she can, to some extent. I base my argument on a rather broad overview of Vedic civilisation, in the traditional, not the academic, sense of the term ‘Vedic’. The most influential Vaisnava scriptures, such as the Srimad-Bhagavatam and the Bhagavad-gita, and foundational texts, such as the Mahabharata, state that the universe is what I call a ‘cosmic village’. Important people throughout the cosmos know, and know about, each other, and have regular mutual dealings. Thus, the celestial gods, the semi-divine Gandharvas and Apsaras, the celestial ‘bad guys’ known as Asuras, Daityas or Danavas, the human beings on earth, the great Naga serpents, etc., are all intimately acquainted with one another and regularly interact. Within this ‘cosmic village’, there is a universally recognised code of behaviour known as dharma. Of course, the theistic Vaisnavas claim that dharma is the ‘law of God’, but even the decent nontheists, and at times even the demonic, recognise the power of dharma and the dangers of adharma. My point is that the guru, as he appears in ancient scriptures, functions within and for this cosmic village ruled by dharma. It is necessary here to make a distinction between a ‘mere’ guru and the acarya. The Monier-Williams Sanskrit dictionary defines acarya as ‘knowing or teaching the acara or rules; a spiritual guide or teacher’. In Hindu tradition, one may call one’s spiritual preceptor ‘acarya‘, but the term has another, larger sense in which it denotes the great teachers who have guided the destiny of Indian religious civilisation. It is in this sense that the mighty Sankara is Sankaracarya; that the great Ramanuja is Ramanujacarya; that Madhva is Madhvacarya; that Vallabha is Vallabhacarya, etc. We find a distinction between acarya and guru in Rupa Goswami’s Bhakti-rasamrta-sindhu, as rendered by Srila Prabhupada. There, in the sixth chapter, Rupa Goswami lists as one of the ‘basic principles’ of bhakti-yoga, ‘following in the footsteps of great acaryas (teachers) under the direction of the spiritual master’. Thus the ‘great acarya‘ is distinguished from the ‘spiritual master’ (guru) in the sense that the guru guides the disciple in the programme or discipline of teaching established by the great acarya. Hinduism has actually functioned this way for many centuries. Indeed, in the Mahabharata, great acaryas occasionally declare a new dharma, an example being the injunction of Sukracarya that brahmanas were no longer allowed to drink liquor (Mahabharata, 1.71.52-5), or that of Svetaketu that women must be monogamous (Mahabharata, 1.113.15-20). Even in these two examples, however, adjustments are made to ethical codes, for even the acarya cannot change the sanatana-dharma (eternal dharma). Thus the same Sukracarya who declared the new drinking law lost his status as acarya when, as described in the Srimad-Bhagavatam, Canto 8, Chapter 19, he instructed his disciple Bali Maharaja not to obey the Supreme Lord, who had appeared before them as Vamana. The phrase guror api, ‘even a guru’, surely refers to the high status traditionally awarded to a spiritual preceptor. There is a further consideration. Srila Prabhupada taught the traditional view that one should confirm spiritual teaching through three authorities: guru, sadhu and sastra – one’s own guru, other saintly persons, and sacred scriptures. Thus the guru functions within a cultural economy of checks and balances. Srila Prabhupada institutionalised these checks and balances by establishing the GBC, and indeed the body of senior Vaisnavas, as a sadhu-force within ISKCON. It is our practical experience that individual gurus may, and sometimes do, deviate from ISKCON’s spiritual standards, but the greater body of senior devotees has been able to keep ISKCON basically on track. Of course, a similar function is given to the community of the faithful in Sunni Islam and in various other historical religious traditions. Finally, I will state what should be obvious, but often is not: that one may go off on either side of the road. Thus, there is a real danger for ISKCON, in its zeal to avoid the high-profile fall-downs of the recent past, to sanitise and restrain the position of guru to a point where it is no longer recognisable and, indeed, no longer functions as a real spiritual force for good in the Society. Last year a desperate father wrote to me explaining that his unmarried daughter had ‘moved in’ with a young male devotee who was my initiated disciple. He asked that I order my disciple to separate from his daughter. I sadly replied that in today’s ISKCON, the guru can do less harm, but less good as well, and that I did not have the authority to so order my disciple. I conclude that the guru in Gaudiya Vaisnava culture is ideally a soul surrendered to Krsna and is thereby qualified to lead the community by purely representing the Lord. The guru is also one with Krsna in an ontological sense, as are all other souls, but always as the subordinate servant of the Lord. Within the cosmic village of Bhagavatam culture, the guru, and even the great acarya, functions within a system of constraints established by dharma, sastra (scripture) and the examples and teachings of recognised saints (sadhus). Thus, ISKCON’s system of requiring the guru to abide by, and within, a social reality governed by the GBC does not intrinsically violate the tradition in which the Society finds its legitimacy. 2 ISKCON is a Gaudiya Vaisnava society. 7.23, 9.34, 11.55, 12.14, 12.16, 18.65. 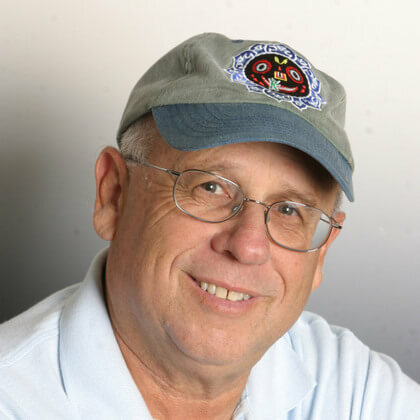 Resnick, H. J. (2000, June). The Role of the Guru in a Multi-Guru Society. ISKCON Communications Journal, 8(1).